Theresa May announced what the housing minister James Brokenshire called “the biggest change to the private rental sector in a generation,” saying tenants deserved security and “peace of mind”. 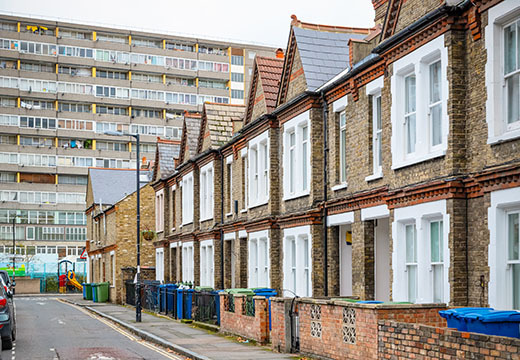 The government will consult on section 21 that enables landlords to get rid of tenants with just eight weeks’ notice after the end of a fixed term contract, a clause that has been blamed for a rise in family homelessness. Housing charity Shelter described the move as an “outstanding victory” for tenants, but the Residential Landlords Association said the changes could lead to a shortfall in buy-to-let properties and risk hurting tenants. In response to the government’s plans, David Smith, the policy director of the RLA said: “For all the talk of greater security for tenants, that will be nothing if the homes to rent are not there in the first place. Announcing the plans, Mrs May said: “Millions of responsible tenants could still be uprooted by their landlord with little notice, and often little justification,” she said. Research by Shelter said one in five of families who rent privately have moved at least three times in the last five years. One in 10 say that a private landlord or letting agent has thrown their belongings out and changed the locks. But research by Manchester Metropolitan University for the RLA found half of the section 21 notices were used to evict tenants with rent arrears, those who committed anti-social behaviour or damaged the property. The RLA announced they will be consulting landlords to over the government plans.